Bill Poole Realty is located at The Big Spring Summit Tower (PNC Bank logo is on the building) in downtown Huntsville. The building is adjacent to Big Spring Park, just north of Huntsville Museum of Art. Free parking for our office is located in the parking deck behind the building, with entrance from Church Street. You should enter the deck on the ground level entry point for free parking and covered entry into the office building lobby. Metered parking is also available along Church Street. Our office is on the 5th floor in Suite 525. 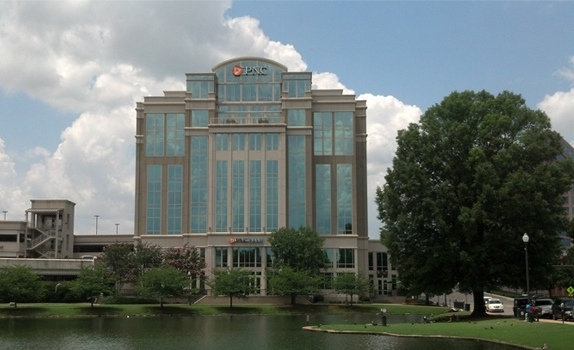 Bill Poole Realty is located at The Big Spring Summit Tower (PNC Bank logo is on the building) in downtown Huntsville.